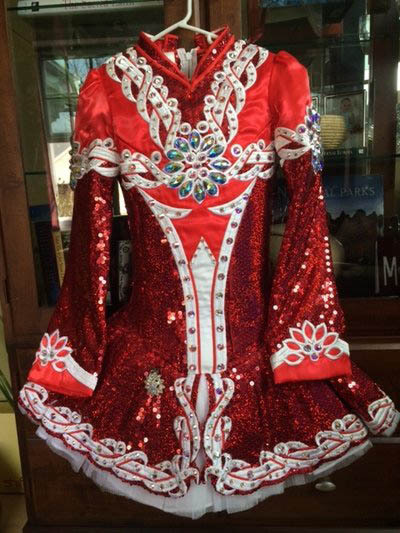 ELEGANT Spectacular CHERRY RED GAVIN! NEW LENGTH!! Made in July 2013, one owner and only worn 4 times! This dress is beautifully appointed with current stying and materials and hundreds of dollars of AB Swarovski crystals~ including 48 extra large AB Pear crystals!! 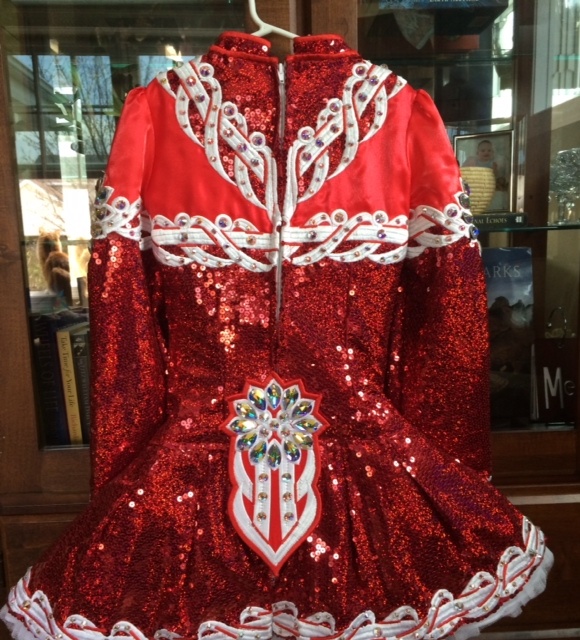 This dress is a KNOCKOUT on stage and is suited for Championship dancers looking to STAND OUT! This gorgoeus dress was made for a thin 12 year old. There is additional room to let down this dress. 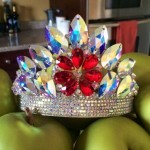 The sale price includes a custom-made Swarovski AB crown which mirrors the flower theme on the dress! 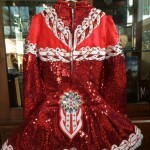 We love this dress and are only selling due to dancer retirement. It is in impeccable condition! Comes from a smoke-free home, always laid flat and returns are negotiable. 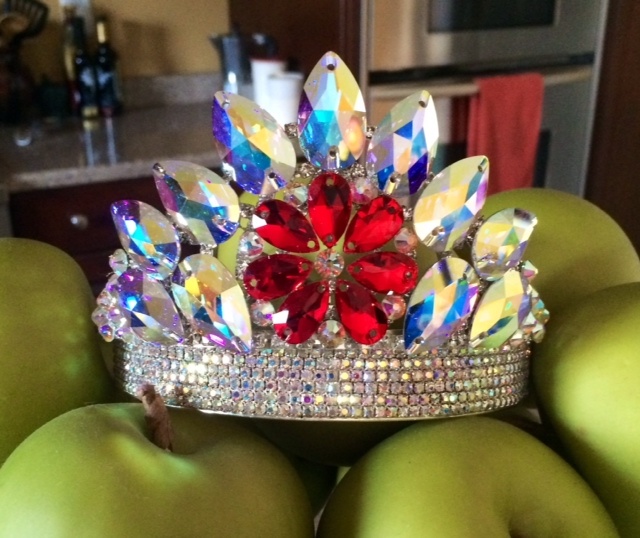 Happy to send additional photos or measurements. **NEW LENGTH MEASUREMENT!! We had the dress let down for our daughter and have since had it taken back up to original length. There is additonal room to let this dress down. Asking Price: $US1450. Shipping costs are included for my own country, overseas shipping is extra. Returns are negotiable.